If you're looking to up your beauty game for 2017, look no further. 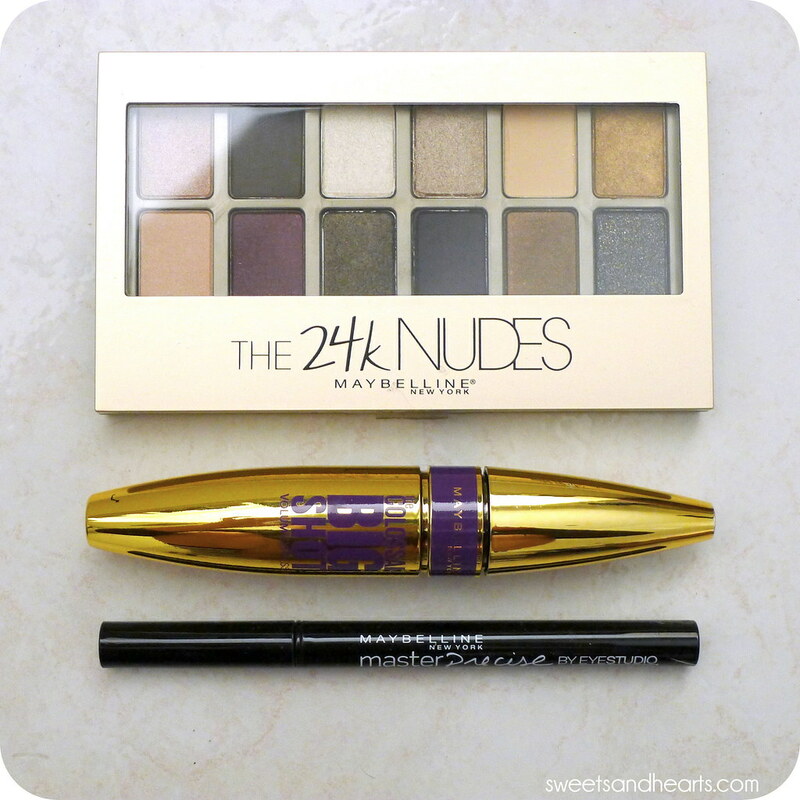 I tried and tested Maybelline's new 24karat Nudes Eye Shadow Palette, Colossal Big Shot Express Mascara, and Master Precise Liquid Ink Pen Eye Liner. With twelve shades ranging from peachy cream and royal violet to deep matte coal black and iridescent copper, this neutral eye shadow palette has everything you need for everyday and dramatic looks. The compact size also makes it ideal for travel. I went with a golden smoky eye in the photos above, using the pale shadows as highlighter under my brows, the copper in the crease, blending with the golden black along the lid, with a touch of shimmery gold in the middle. I also used the top left (a shimmery pale champagne) on the inner corners of my lids for some added sparkle. The shadows are silky and blend well when applied with brushes. 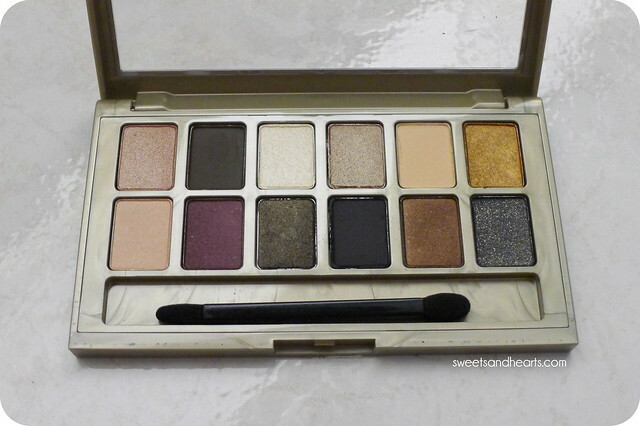 I found that the lighter shades were a little sheer, while the deeper ones were very pigmented. You can up the intensity by layering and using eye shadow primer. 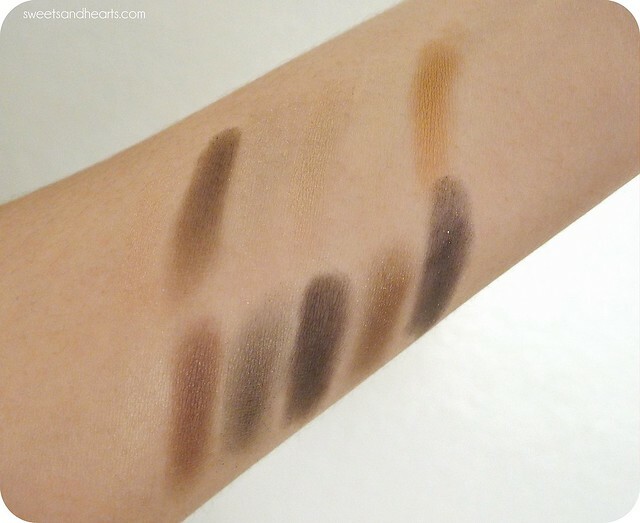 Swatches above (left to right, top to bottom following the order on the palette). 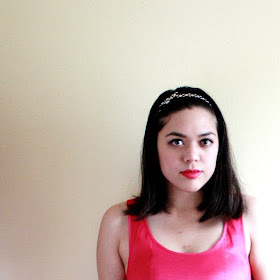 Note: the lighter shades do not pick up on my skintone very well in the photos, but they're there. I tend to avoid liquid eye liner because it can be intimidating, but I was actually able to apply the Master Precise Liquid Ink liner easily (with no mess-ups!) thanks to the flexible cone-shaped applicator. It was easy to create a thick cat-eye with a sharp wing. Plus, it dried fast and lasted all day. I liked the deep black opaque color because it really made my eyes stand out. 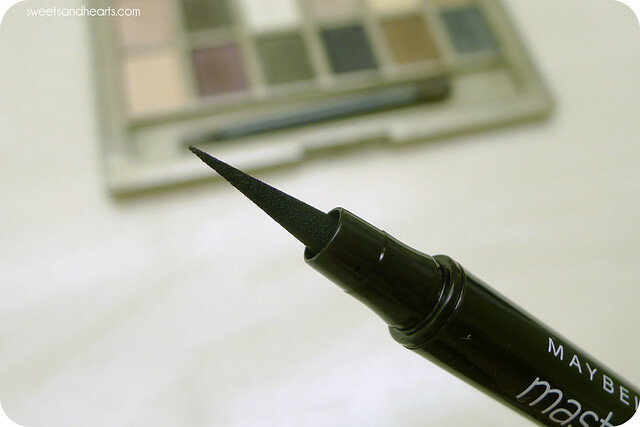 Tip: go slowly, and carefully outline the wing before filling the rest of the line in. 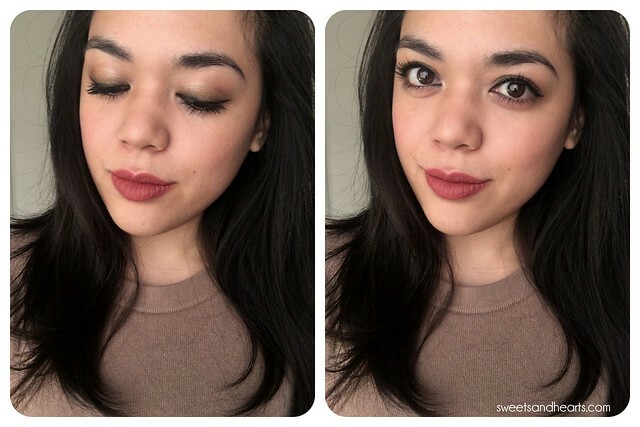 I always aim for lush, dramatic lashes and the Colossal Big Shot Express did not disappoint! 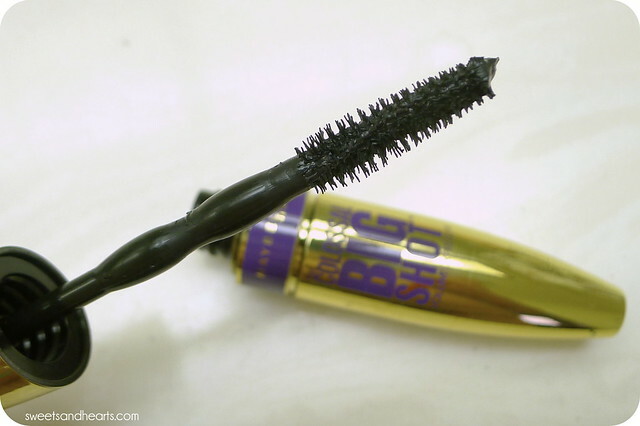 I'm extremely picky when it comes to mascara, and I've gone through lots of different drugstore and premium brands. Trying this was a pleasant surprise: I was seriously impressed by the length and fullness I got from applying it. The brush features wavy bristles that lift and separate while adding tons of volume. I always use an eyelash curler before applying mascara, and this held the curl without flaking or smudging all day. Overall, I had a positive experience testing each of these products. The price points are amazing, and the mascara is especially a steal. Let me know if you end up trying any of these. I'd love to know your thoughts. All items mentioned in this post are available in mass market retailers at the suggested retail prices listed.